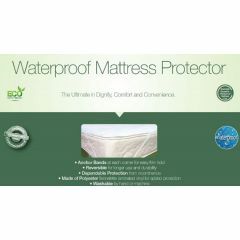 AllegroMedical.com presents The Waterproof Mattress Protector. CareActive is a manufacturer of a full line of reusable incontinence products, diabetic footwear, bibs, and wheelchair accessories. Care Apparel Industries, Inc. has been manufacturing outstanding quality products since 1973. Added protection from incontinence or spills.